Mecca of English yachting, the Solent is a legendary boating area, especially around Cowes and its racing scene. Probably a quarter of a million boats are moored between Southampton, Hurst Point, the Isle of Wight and Chichester Harbour. These are the most popular cruising waters in the UK, with over 30 marinas and many smaller facilities at boatyards and clubs. 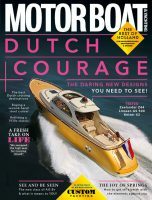 Most South Coast boat owners take the Solent for granted. It is simply there, with all the familiar havens ready and waiting to be visited practically all year round. Yet many British boaters have never explored the Solent, particularly those who keep their boats much further north in equally attractive parts of the country. So for those who may hanker after a Solent cruise but have never quite got around to it, a charter can be just the ticket. Not far into the Hamble River on the Warsash side, the powerboat training centre Marine Matters Ltd is based at Stone Pier Marina. Their Sealine 425 Flybridge (pictured below) is available for bareboat charter to qualified yachtmasters or suitable clients who have completed a training course at the centre. Powered by two Volvo D6-435 diesels, the 425 is large enough for spacious overnight accommodation for six but not too long for easy manoeuvring. With a cruising speed of 20 knots she can deal with a stiff Solent chop, but is also happy meandering up rivers to find peaceful berths for the night. Charterers normally join the boat on a Sunday afternoon and return to Warsash after lunch on Friday. This allows plenty of time to visit some of the Solent’s best-known harbours, perhaps starting with Cowes on Monday after a lazy lunch at anchor in Osborne Bay. One of the West Cowes marinas keeps you near the waterfront action and close to chic shops, pubs and restaurants, or carry on up the Medina River to a calm rural berth opposite the Folly Inn. 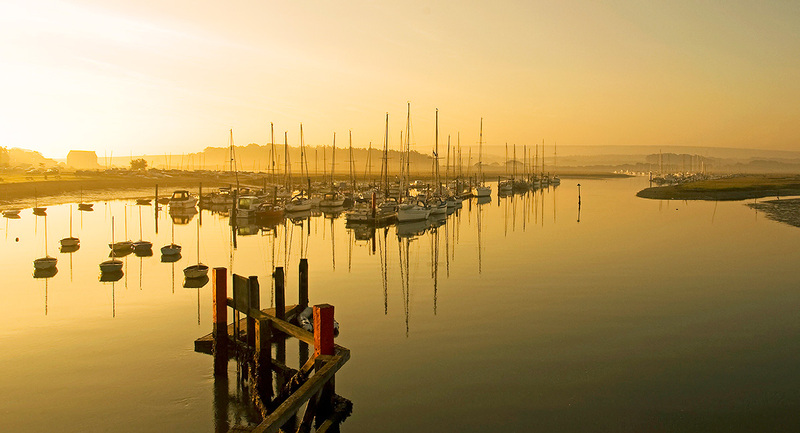 Next day you might head west to Yarmouth via Newtown Creek, or maybe over to Lymington for the salty atmosphere of this gentle Hampshire harbour. 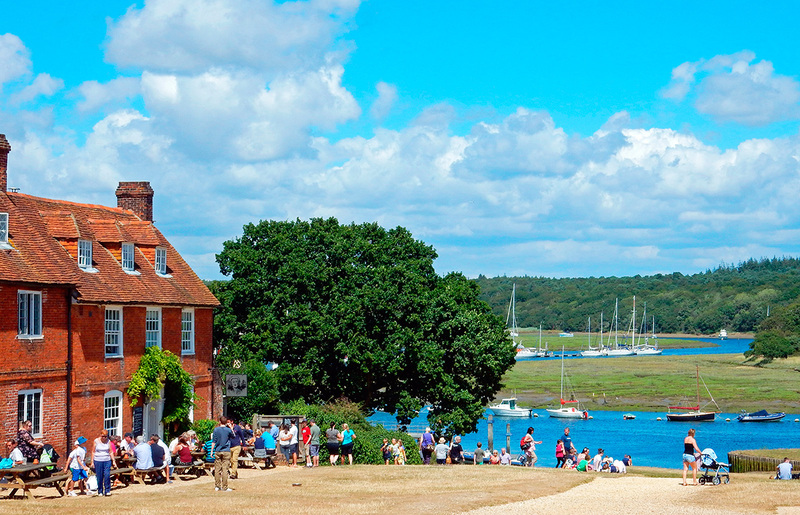 The Beaulieu River shouldn’t be missed and you can berth at Bucklers Hard (pictured above) near the Master Builder’s bar and restaurant. Portsmouth is ideal for a sociable last night, either at Haslar Marina on the Gosport side or lively Gunwharf Quays near Old Portsmouth. Back at Warsash, Stone Pier is pleasant for pottering about. 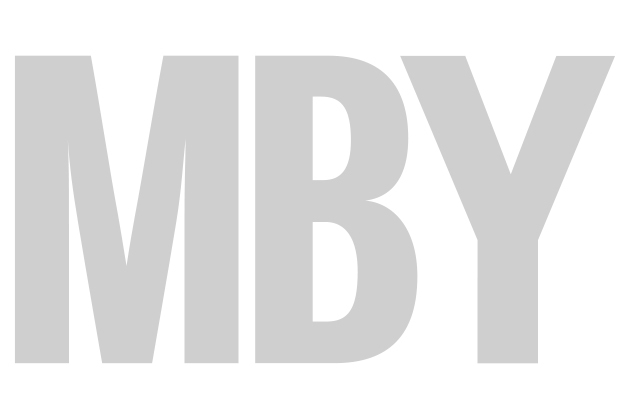 Warsash village is nearby and you can take the ferry over to Hamble for a choice of pubs. 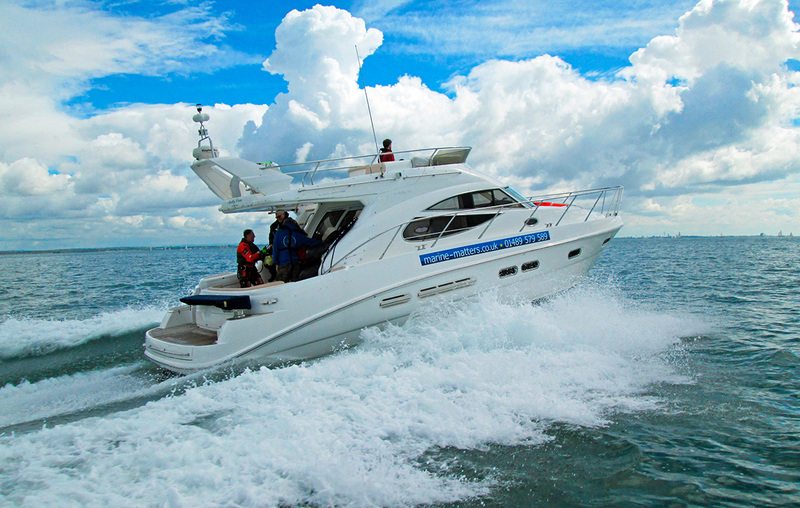 Guide prices: £4,250 for a five-day Solent charter inc fuel. Getting there: Stone Pier Marina is 4 miles drive from M27 J8 and there are many UK flights to Southampton, then 20mins by taxi to Stone Pier Marina.